I've been taking Rainbow Maker by Online Card Classes! This has been a fun, technique filled class! I divided Bristol paper into segments, and used my distress tools to blend Distress Oxide inks on the paper. Once I had that done and heat set, I used a stencil and blended lighter ink onto the letters to give them a pattern. Laura Bassen had used this technique in her video in the class. 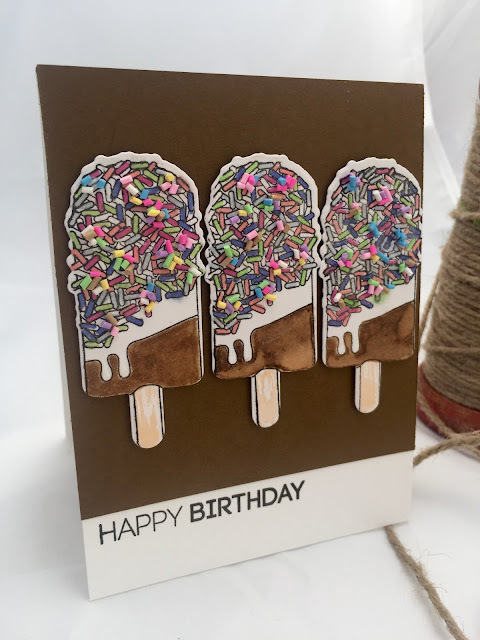 I stamped the balloons in Distress Oxide inks and drew strings to the letters. 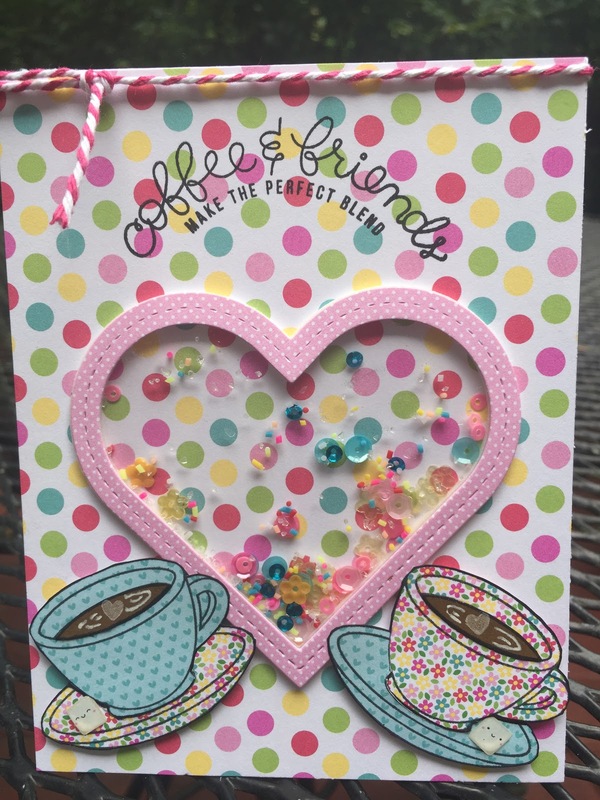 I added various sequins from Pretty Pink Posh. There you have it a fun, bright Party card!! 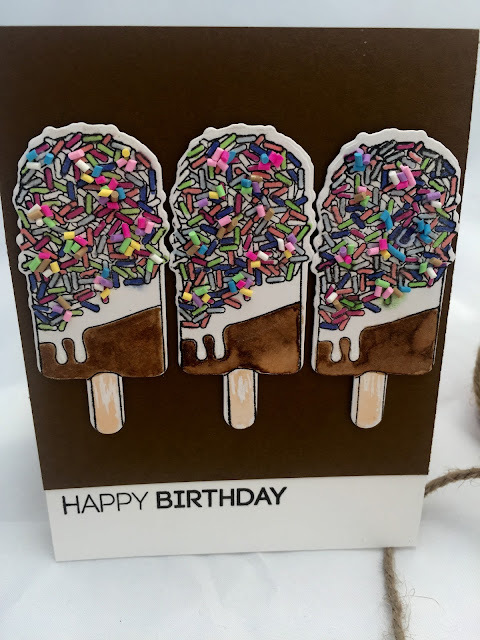 I used all Distress Oxide inks here. They are heaven to use. 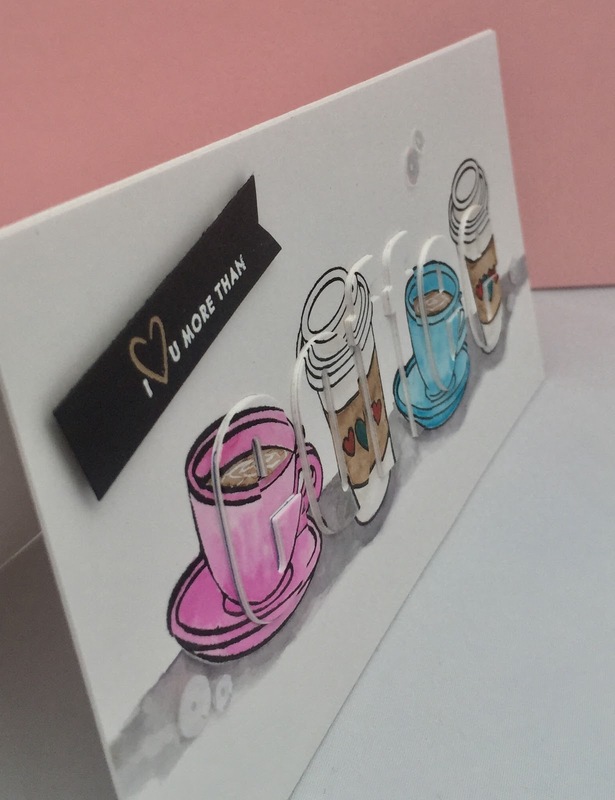 They blend beautifully and look so smooth on Bristol paper. I love these inks! The Let's sentiment and balloons are from Papertrey Ink's Scene It: Celebrations. Hello there! 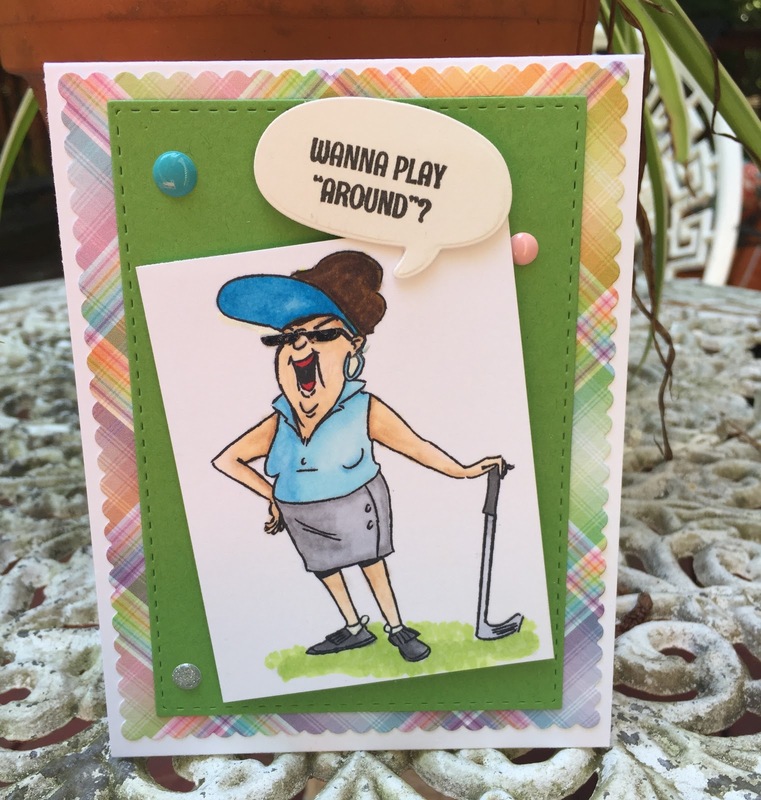 Sharing a card today that features Art Impression's Par-Tee Golfers! This stamp set cracks me up! 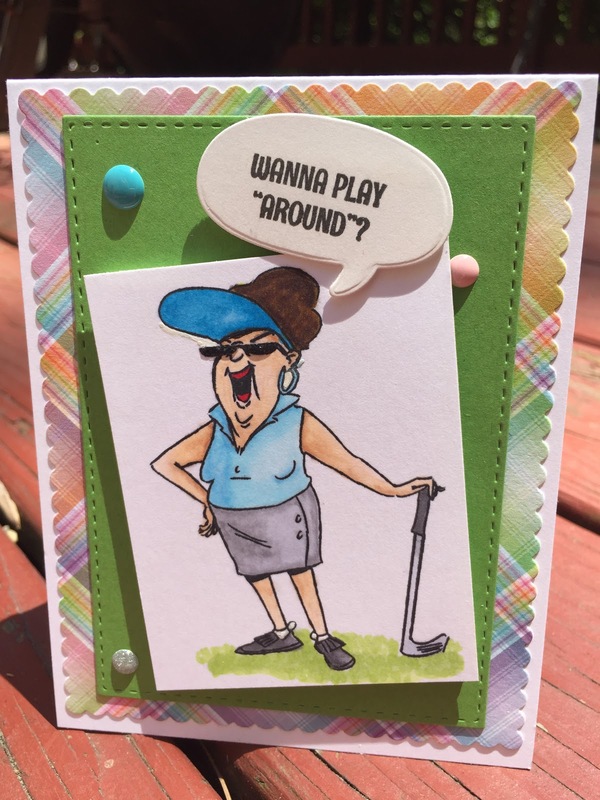 My husband is a golf pro so I'm drawn to these fun images! I'm playing in SSS's Wednesday Challenge. I stamped my image with Memento Tuxedo Black ink and then colored the image with Copics. I also added Glossy Accents to her sunglasses and gave her some grass to stand on. I cut the image down and gave her some dimension with craft foam tape. I added her to some green cardstock and then cut out some lawn fawn perfectly plaid rainbow paper with a scallop die cut and taped it all on a 4 1/4 by 5 1/2 inch card base. 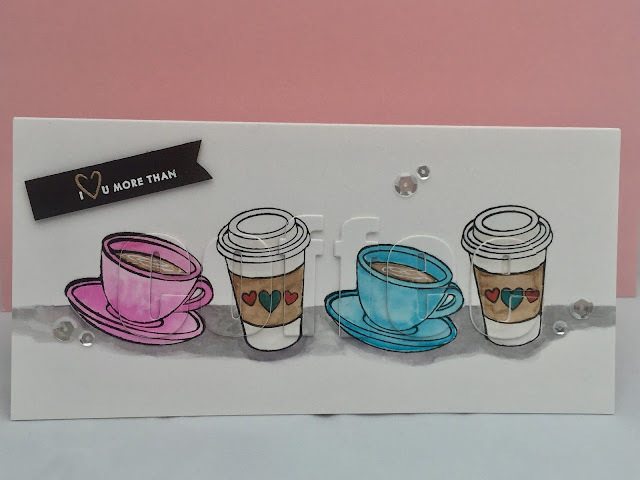 I added the sentiment from the same stamp set to a speech bubble and added some enamel dots! Hello! 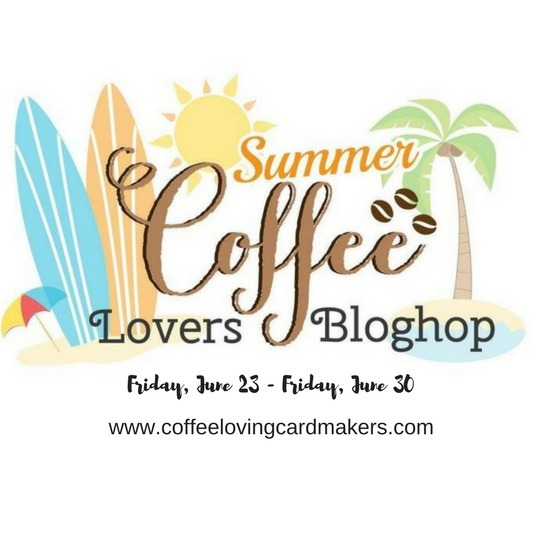 Today I'm joining the Summer Coffee Lovers bloghop. 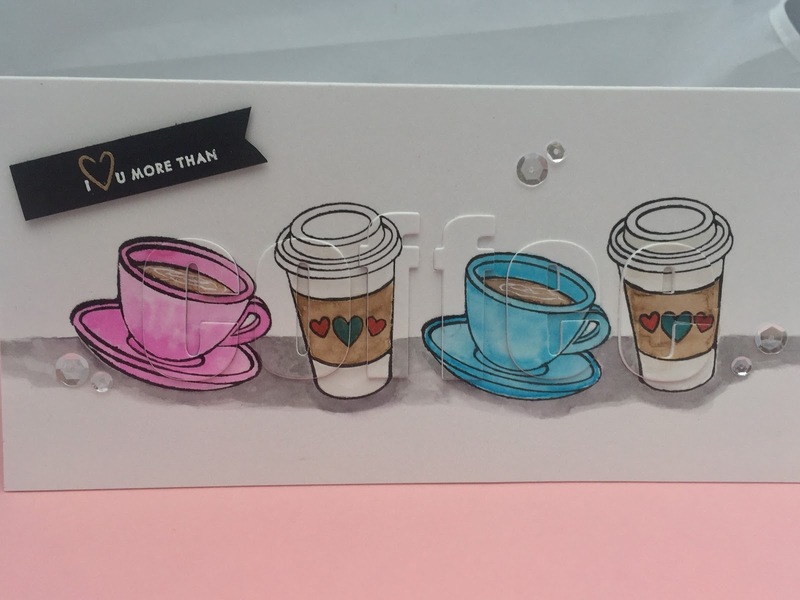 I made a card that uses Altenew Bold Alphabet dies and the SSS Coffee and Tea stamp set. I stamped my images on Bristol paper and used Zig Real Color Markers to watercolor the cups. I then die cut the letters out of the water colored image and raised them with several layers of die cut letters. I added my sentiment which was embossed with white and gold embossing powder. Thanks to Jennifer McGuire for the inspiration which I cased. Love how this turned out! I also added some clear sequins to give it some sparkle. Thanks for visiting! Hope you have a great rest of the week! Wow...two days in a row and two challenges! 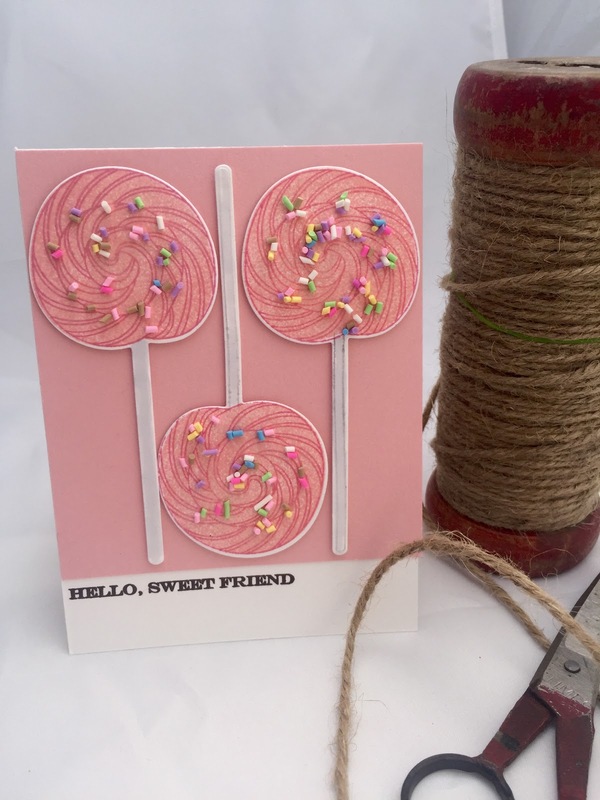 Today I'm playing along with SSS Wednesday Challenge using patterned paper. 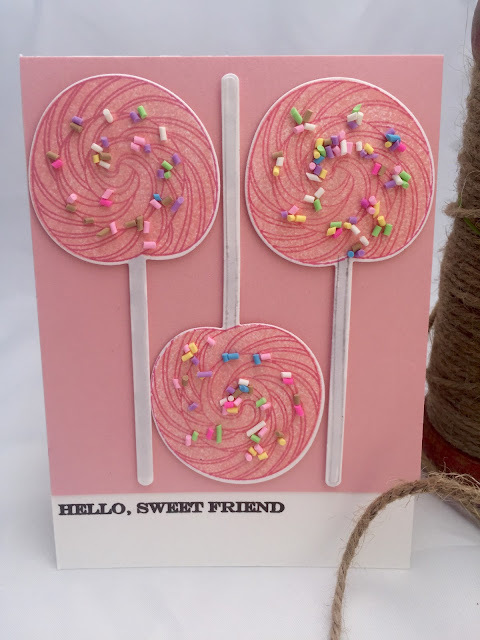 I used the cute paper I got in a SSS kit and the stamps that came in that kit. These papers have such fun colors and prints! I made a shaker card with some dies from PTI. 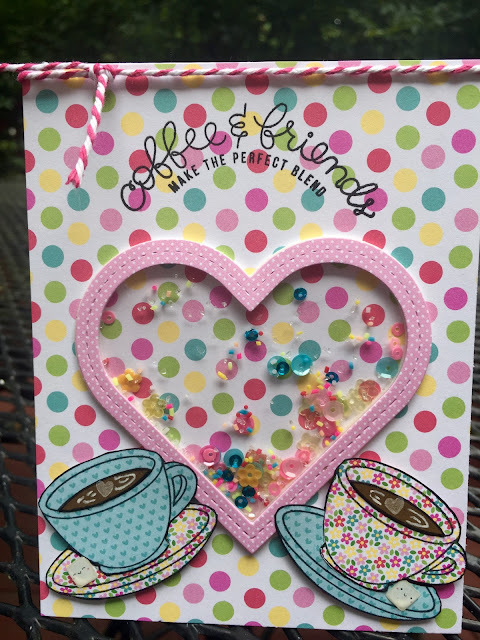 I paper pierced all the different patterns for the coffee cups, added brown cardstock for the coffee, and stamped a heart and added swirls. I also added sugar cubes which were from the kit. The card came together pretty easily. The polka dot paper is also from that same kit and is all Doodle Bug Cream and Sugar paper. Hope you enjoy and will subscribe to my blog. Have a great night! Well it's been over a year since I posted! How'd that happen? My mom got sick number one and I spent a good bit of last spring and summer in SC with her. She survived but it has been a long road! My twins were in their final year of college so I tried to see their sporting events as much as possible. My oldest son joined the Navy. Life just keeps moving forward and I try to keep up!! 😅 Enough of that! 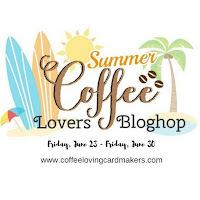 Today my post is all about a blog hop with Papertrey Ink. This is the inspirational photo! I decided to make some little beach houses! I'm going to the beach next week with my family and extended family and I thought I would make these for the girls and put some lip balm, hair ties, little hand sanitizers and chocolate in them! It all fit! 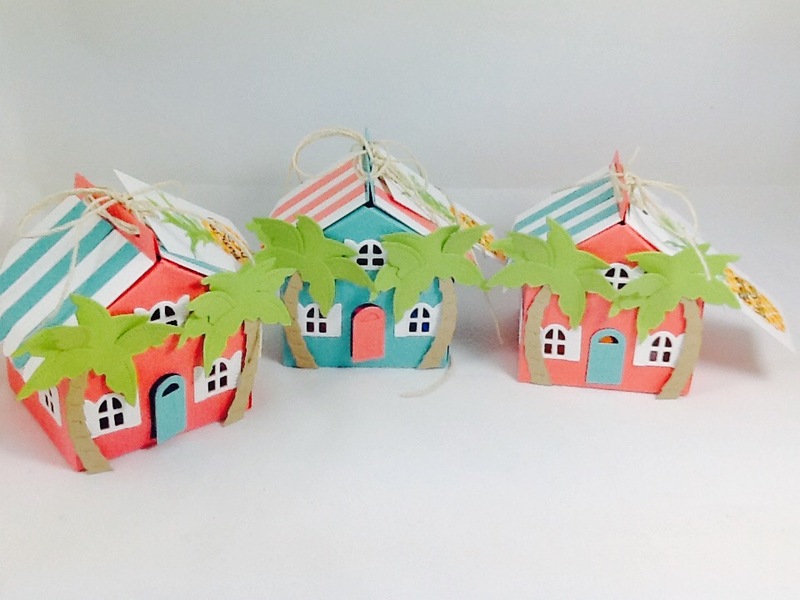 These little houses were made with Betsy Veldman's Tiny Town houses. The roof was die cut out from the new Tiny Town Sweet Shoppe. 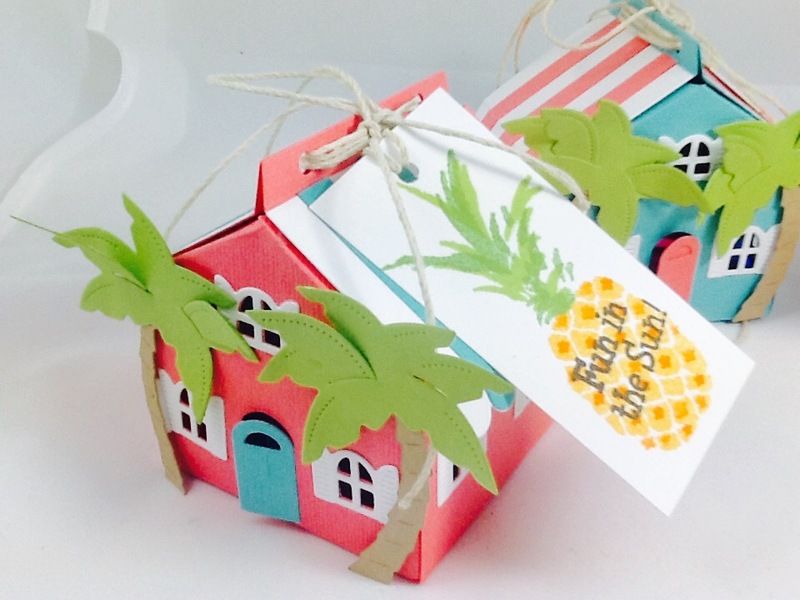 Betsy had made a beach house on her blog and I took her idea and made them my own. I think the girls will love these. I added tags to the houses with the new PTI's Some Like It Hot stamp set. I hope you like these little beach houses. Thanks to PTI and Betsy for the idea! !